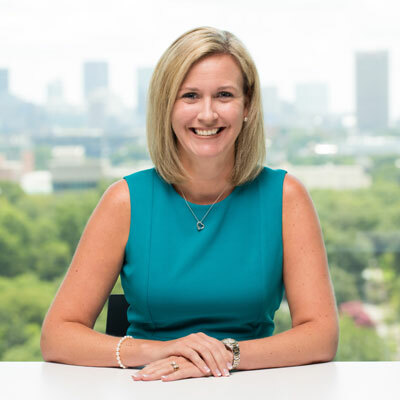 Jennifer Warawa has been with Sage for ten years and leads the company's Partners, Accountants and Alliance Group, based in Sage's Atlanta, USA office. Jennifer leads Sage's global network of partners and accountants, as well as their technology alliances. Prior to working with Sage, Jennifer was a Sage partner and owned her own accounting and consulting firm in Kelowna, BC, Canada for 12 years providing accounting, bookkeeping, consulting services, software training and implementation, as well as business/financial planning and marketing. In addition to being a regular keynote and session speaker at conferences, Jennifer was also listed as one of the "10 Tweeters Worth Following" by Accounting Today and is an avid blogger, which includes being a featured writer on the Virgin Entrepreneur website. Jennifer made the Accounting Today Top 100 Most Influential People in Accounting list consecutively for the last seven years. Jennifer has also been named one of the Top 25 Most Powerful Women in Accounting for the last four years running, as recognized by CPA Practice Advisor. Jennifer is passionate about helping others reach their full potential and outside of work, she loves mentoring youth and is an active foster parent. One of the most important things I have done in my role is get extremely close to the Sage partner channel. In my first eight weeks in this role, I traveled to nine countries and met with over 300 partners to deeply understand how Sage can evolve our own offerings and work more closely with them in growing their business. Not a day goes by that I don't connect with a Sage partner. The learnings have been incredible and have led to simplification across our partner programs around the globe, a more robust partner enablement program, acceleration of the rollout of a new Partner Account Management model and better leveraging and sharing best practices from Sage partners. Over the next year, Sage is really focused on helping our partners grow their business and adopt cloud technology and related business models, especially as it relates to new customer acquisition.The Sage Business Cloud is built to respond to the demands of modern companies, enabling our partners to do the same. This solution is designed to be the only cloud platform that businesses will ever need from startup to enterprise. CPA Practice Advisor's 25 Most Powerful Women in Accounting (November 2017): This annual award recognizes women throughout the profession who are making a measurable difference in the success of the accounting profession itself as well as those around them. This list includes outstanding women in accounting such as CPA firm partners, CEOs, a Fortune 500 firm director, business founders, published authors, keynote speakers, consultants, trainers, podcasters. Accounting Today's Top 100 Most Influential People in Accounting (September 2017): This list honors the thought leaders, visionaries, regulators, and others who are shaping the accounting profession. The person that comes immediately to mind is my best friend, Erin. Erin has been battling stage four colon cancer for over 2.5 years. She is one of the most positive, inspiring, strongest women I have ever met and she has every reason to be the exact opposite. Through her journey, she reminds me on a daily basis what is most important in life and how to remain positive when the circumstances may warrant a different response. She is an incredible woman who I admire every single day. I would advise my 16-year-old self that the sky's the limit and never doubt my ability to succeed because of my experience, gender or even nationality. Rather than being actual limitations, I have realized those are self-imposed limitations that can be overcome by confidence and a relentless commitment to do whatever it takes to drive successful outcomes. Because of AI's unique potential to drastically alter the future of the accounting profession, I would love to tackle Artificial Intelligence (AI) development. It's been predicted that by 2030, AI will boost gross domestic product (GDP) worldwide by $15.7 billion. Our community - accountants - can and must embrace AI to stay relevant in today's changing industrial landscape. We are the catalyst for change in our industry. AI allows accountants to provide a higher caliber of services to clients by utilizing AI to free time to work more as a strategic partner and provide data-driven insights to inform business decisions. I am currently reading "Selling with Noble Purpose" by Lisa McLeod and I love it. Lisa is a keynote speaker at an upcoming global Sage partner conference and I love this book because it explains that if you sell based on a deep mission and purpose, revenue will follow. To me, business is always personal, and this book gets in to the heart of one of the key drivers of great sales performance, which is making a difference.